Today we will talk about the differences between foie-gras and Pâté. Although those products are similar, they have nothing to do with regard to taste, texture and properties. There is the perfect time to eat a good foie gras or a good pâte of some different seafood. The term "Foie gras" has french origin and it means "fatty liver", which really is what it is. Liver 100% duck or goose to obtain an exceptionally fatty and large liver. It has a high content of iron and it has a great amount of calories, so that it is consumed in small quantities. Its texture is fine, almost creamy, and its flavour is mild due to its slow cooking and the peculiarity of the liver. Block: Piece of cooked liver served in can. It may be spiced with other products. Ex: Truffled foie-gras. Mi-cuit: Whole and semi-cooked liver. Presented in can or in bags. It is served in thin slices. Mouse: It is a pâté with high amount of liver. It is served in a can. Foie gras may be seasoned with other products such as truffles, liqueurs such as Pedro Ximenez, sweet things such as nougat, jams, etc. 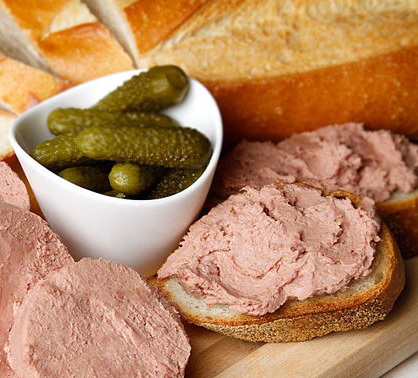 The pâté contains liver, normally pork liver, is mixed using different meats depending on the kind of the pâté. It also contains seasonings and preservatives. It is vitamin A and proteins rich. The texture of the pâté may vary, but it is generally much thicker than that of foie gras. Depending on with which meat is the pâté mixed, it may be very different, there are different seafood (lobster, salmon, cod, etc) and different meats (deer, wild boar, pork ...). Its flavour may be different, like cabrales or pepper. In conclusion, they are two very different products, perfect for different moments. As always there are products of different qualitites, but the most important thing is the is foie gras or pâté will be of good quality. Buy foie-gras and pâtes in our online shop here.